(Updated at 3:25 p.m.) Arlington County is planning to start forwarding public records requests about Amazon to the company, despite not yet having finalized the agreement to do, officials say. Arlington County agreed to alert the tech and retail giant whenever someone files a Freedom of Information Act (FOIA) request for public records involving the company. Both Arlington County and the Commonwealth of Virginia have agreed to the deal, which has been criticized by open government advocates who fear it make public records harder to access. The deal is part of a $23 million incentive package the County Board unanimously approved last month to lure the company and its promise of at least 25,000 jobs to the county. However, county officials still need to sign on the dotted line to seal the FOIA deal — something Arlington County spokeswoman Jennifer Smith says they will do within the next two weeks. Smith did not answer a question about why the county decided to honor the agreement before executing it. It also stipulates that the county agrees to, “disclose only such records as are subject to mandatory disclosure under VaFOIA or other applicable law or regulation,” referring to the state laws requiring a response within five days to public requests and that the government apply exemptions narrowly. County Attorney Stephen MacIsaac told ARLnow through a spokeswoman the agreement with Amazon is a “courtesy” and that it “will not change the County’s response to the request” of public records. “It provides Amazon with awareness of the FOIA request, giving the company the opportunity to protect records it believes are entitled to protection in the event the County intends to release the records,” he said. This gives Amazon time to file a “reverse open records request” case in court preventing the county from sharing information, according to FOIA expert Professor John Cary Sims of the University of the Pacific McGeorge School of Law. Sims said sometimes courts step in and force records to be released, or filers can sue if they believe an exemption was applied improperly, but it’s a long process to unearth records that would otherwise be buried. “It’s only if there is a lawsuit that somehow forces disclosure that anyone knows about it,” said Sims. MacIsaac previously called advocates’ concern over the FOIA agreement a “red herring” — a characterization Megan Rhyne, Executive Director of the Virginia Coalition for Open Government, took issue with. Rhyne has blogged about the differences between this agreement and others Arlington previously struck up like with Nestlé in 2017. She says the language specifying the warning window (48 hours) and requiring Arlington to only release only the “mandatory” records is new. One concern advocates have is whether requiring FOIA officers to forward requests to Amazon could slow down the response process. Marshall added that if this happens in Arlington, filers can try to sue but the litigation process is too long and too costly for many members of the public. As a result? “A lot of these timing violations don’t get enforced,” he said. ARLnow has documented the county’s sometimes slow response and steep fees for FOIAs before. MacIssac disagreed that forwarding FOIAs to Amazon will slow down the process or add to staff’s workload. One of the reasons the request may not require much work for FOIA officers is that the county is planning to forward FOIAs to Amazon without redacting filers’ personal information, ARLnow learned. Arlington’s FOIA request forms require people fill out their name, address, phone number, and signature. “If there is a specific request to not disclose certain information, the County will take that into consideration,” said county spokesperson Jennifer Smith. Arlington County also publishes its responses to FOIA requests online, but does not include the requester’s information. “We are excited about our new headquarters in Virginia,” an Amazon spokeswoman said to ARLnow in a statement Monday. A spokeswoman for the County Board did not return requests for comment for this story. Sims says FOIA-warning agreements like this set a precedent for more. “People realize that, ‘Oh wait they put in this advanced notice requirement and that allowed them to do this, that, and that. So okay we’ll do that, too’,” he said. Amazon did strike the same deal in New York City, where it scouted for the second half of its new headquarters before dropping the location in February. 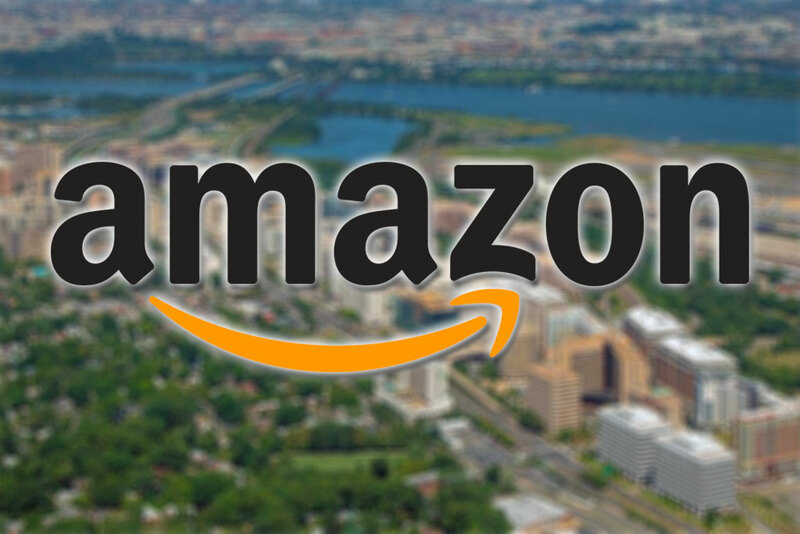 City officials originally denied the existence of the agreement then later admitted they had agreed to forward FOIAs to Amazon. Officials in Hilliard, Ohio agreed to give Amazon five days notice before completing public records requests that involved the company or its local data center, reported the Columbia Journalism Review, and Facebook also bargained a three day early warning in Albany, New York.